For SMB Clients across a range of industries. Monument is an Oracle Partner and Reseller of E-Business Suite, Cloud ERP, and Oracle Technology. We provide application expertise and domain knowledge to our clients. We are extremely committed to our clients who average 8 years working with our team. We have taken many of our clients from the initial implementation through various upgrades and extensions and now provide support services as needed. Whether you are looking for day to day Help Desk support services, installing, upgrading, modifying or extending your Oracle E-Business Suite or Oracle Cloud ERP, our experience and commitment can help. 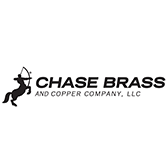 Director, ITChase Brass and Copper" /> John BagnallDirector, ITChase Brass and Copper Their consultants helped us to successfully leverage EBS capabilities, provided insight into scheduling concepts and best practices for our process manufacturing environment. 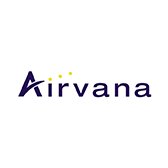 Oracle ProjectsAirvana" /> Marianne SharinOracle ProjectsAirvana We were able to execute an application upgrade onto new hardware moving from Unix to Linux ahead of schedule! The knowledge and experience of their team made it possible. 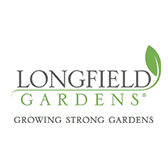 PresidentLongfield Gardens" /> Dave StraboPresidentLongfield Gardens We have partnered with Monument Data since 2009. They have shown great knowledge and flexibility in meeting our requirements and we look forward to continuing our partnership. What is the status of your ERP system? An ERP Assessment is a review of the current footprint your systems. It should include ERP and all the associated integrated and interfaced systems which comprise your Business Systems Footprint. Monument recently completed an upgrade to R12 for a Process Manufacturer which included Financials, Supply Chain, with both Process and Discrete Manufacturing modules. Monument Data Solutions has helped dozens of companies across multiple verticals throughout our 12 year history. ©2016 Monument Data Solutions. All Rights Reserved. Oracle ERP Solution Experts in Massachusetts, New York, New Jersey, Connecticut, New Hampshire, Rhode Island, Vermont and Maine.